The days of fussing about keys are over. 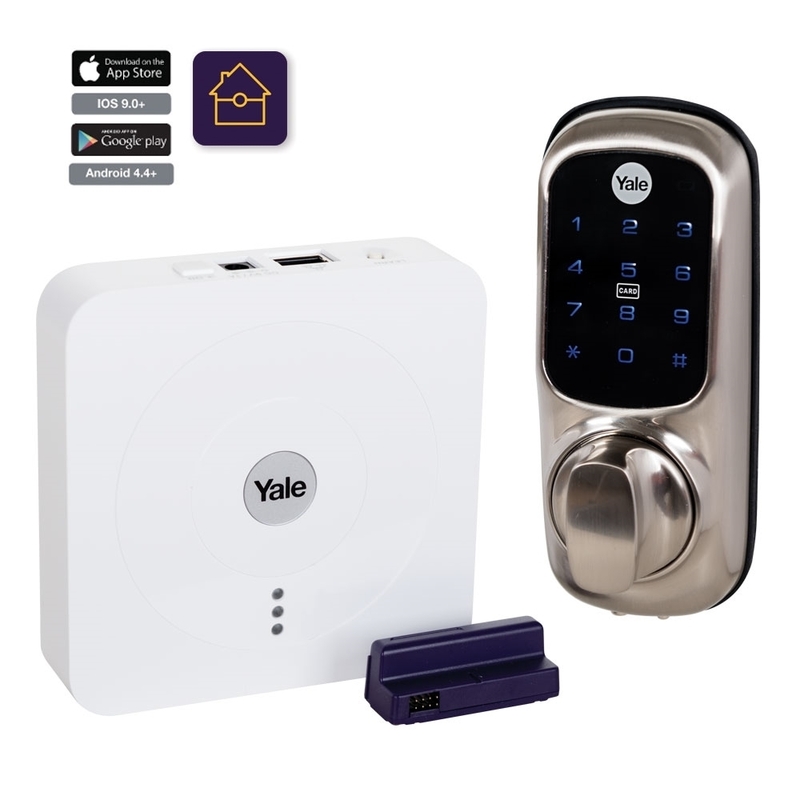 With a Smart Door Lock from Yale, you have the option to use a PIN code, RF ID or even a smartphone to unlock your door. The Keyless Connected Smart Door Lock with hub provides a complete keyless solution, with the ability to remotely monitor and control access to your home. The Keyless Connected Smart Door Lock makes domestic key troubles a thing of the past: there’s no longer any need to have a spare key cut for children, cleaners, carers or temporary workers. Simply schedule rights or revoke access via your smartphone in the Yale app. The Smart Home App also allows you to link your Yale Smart CCTV, Smart Alarm accessories and Yale Smart Home IP Cameras too. This enables full control of your security with the convenience of mobile access from anywhere in the world. * For inward opening doors only.